Kavadarci is one of the most beautiful cities in Macedonia, located in the central part of Macedonia, near Negotino. It is 105 km away from Skopje and 49 km from nearby city Prilep, while from the nearest Negotino is just 10 km away. Kavadarci is situated on the both sides of the river Luda (Crazy) Mara and lies on 230 to 270 meters above the sea level, in the valley of Tikveš. 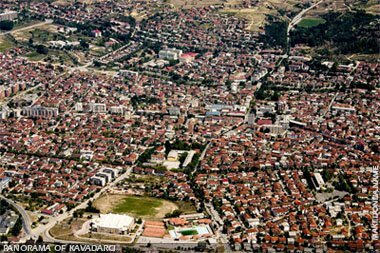 Kavadarci has 37,189 residents and covers and area of 1,132 square km. 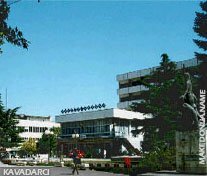 There is no airport and railway, but an excellent road from Prilep, Rosoman, and Negotino leads to Kavadarci and can be entered by a car or a bus. As a settlement Kavadarci is mentioned for the first time in a document from 1823. Kavadarci is mentioned as a small settlement within the Bitola region as the (Ottomans divided Macedonia on Skopje, Bitola and Salonica region), with a small number of population, around 2,000 inhabitants, and as a city, Kavadarci begun to form at the beginning of the 19th century. Near by the town there is an archeological site, which suggests that there was a settlement existing in the region in the ancient period and in the Middle Ages. 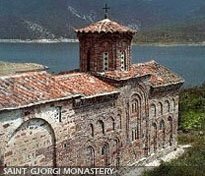 The inheritance from the middle ages is represented by it's wonderful churches, Marko Tower and other beautiful caves. The square shaped and around twenty meters high stone tower, also known as Marko’s tower, located in the city center, is one of the cultural characteristics of Kavadarci. It was probably built during the 18th century, since it is known that the first city houses used to be built around this important object. Kavadarci is well known and famous by its vineyards, all over Macedonia and also in Greece, Yugoslavia and other European countries, where the Tikveš wines are exported. Kavadarci is main source for vine production all over Macedonia. The entire region where Kavadarci is situated is called Tikveš. At the beginning of September every year there is a wine carnival. Also, a few kilometers from Kavadarci's settlement of Vataša, is situated the monument from the Second World War, where 12 young communists, were brutally killed by the Bulgarian occupator. They were killed because they declared themselves Macedonians. Also Vataša in the early 19th century was known as The Little Paris and was larger settlement than Kavadarci itself. Strašo Pindzur, a National Hero from the World War 2, was born here in Vataša.